Hot on the heels of a very decent Australian media article [ click here for link ] we have had a further reply from the UK Government [Foreign and Commonwealth office, FCO], specifically the Head of UK Delegation to UN COPUOS [the big UN committee that deals with space affairs and constructed the original Outer Space Treaty]. In order to get a much needed update to the Outer Space Treaty [OST] we are aiming to prove the existing weakness of this law against our Mars land claim. We want the UK delegation to propose to committee that our claim requires International Due process (legal assessment of its merits). We do not need the “support” of the UK or any member state… we just demand that they recognise the worthiness of our claim to be submitted to a formal registry process… Note that we already have a written reply from the PCA (Permanent Court of Arbitration in The Hague) that they could feasably conduct the Due Process (ie. formally assess our Mars claim and make an appropriate award). Well, initially the UK Gov stated that whilst they appreciated our benevolent goals for celestial safety (through OST space law updates), they could not act on our demands as article 2 of the OST prevented our claim…. We replied, pointing out that article 2 had no relevance to our claim. Realising we were correct, they then replied that they could not act on our demands because of another OST article, number 6. Now the penny has dropped… they can see that there is no easy answer to our claim, other than to agree to have formal international legal assesssment [due process]! My apologies for the delay. I will spare you detailed excuses but I would appreciate it, if you could bear with me for a while longer. These are complex, long-term issues so some internal consultations are in order. We retain all the original emails for verification purposes. Suffice to say, our claim is not only getting media attention, it is now being seriously assessed at National Government level. Why not join us now?! … for a small fee you will become part of our team pushing for updates to space law (to ensure that peace and space-commerce can co-exist) and also have a real (although still modest) chance of gaining actual land on Mars! ” Thank you for your reply. I understand your need for additional time to consider a formal FCO response to my demands. I also understand that the FCO is extremely busy with important current world affairs. Therefore I am content to wait 2 weeks more. I have much respect for yourself and FCO staff who apply such important British influence upon global matters. It is therefore in our interest to have some FCO understanding (if not support) of our claim/campaign goals. We do not seek your support … Indeed it would complicate matters if support were provided. 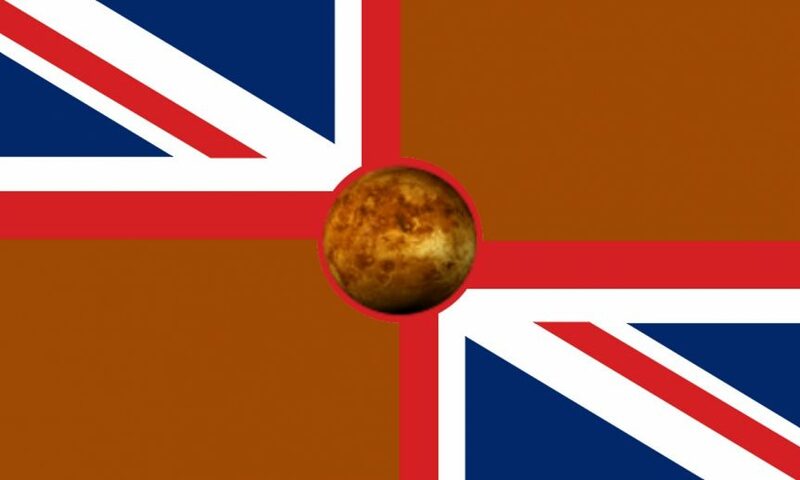 We do seek acknowledgement that our Mars land claim (which is, in effect, a tool we are using in our bigger celestial-safety campaign) is sufficiently honest and grounded in international law that it is at least deserving of a formal assessment of right to due process. We of course contest that such a right is already deserved (in keeping with current consensus in International law and most developed nations laws). Ultimately we seek formal international arbitration on our right to Mars land entitlement. We had targeted 2017, being the 50th anniversary of Outer Space Treaty, as optimal timing for this high-profile legal a process. In publicly proving the weakness of OST against our claim we might succeed in providing the big jolt required to trigger some COPUOS consensus on vital OST updates. So, time is quite short. Should we not gain the agreement of FCO to advance the proposal (that our claim be submitted to due process or at least assessment of right to due process) to COPUOS or even GA, then we would need to act decisively. First we would approach US, Australian and Canadian representatives (as people from these nations comprise our largest membership groups) in a similar manner. If there is no positive response from these representatives we would take legal action. Already we would have applied and prepared for a High Court challenge to the UK Gov rejection of our demand for due process consideration. We have finance allocated for this process. Of course, without complete resolution, we would seek international legal assessment (European Court or ICJ) of our claim via human right to due process. Again we have sufficient resources for that. Obviously we want to get to the stage of formal international ‘due process’ without first losing time and money in British & European courts. Therefore we seek FCO acknowledgment that our claim is deserving of due process and therefore you will advance the proposal to Committee that this process be agreed for us. Now I fully accept that by just reading the output from COPUOS (and other UN committees), we cannot gain a full understanding of the current state of play. I also understand that this claim comes to you as an unwanted irritation. However, if you can accept that our simplified OST update goals do have beneficial intent, then perhaps you can start looking at case scenarios…. Scenario 1. Formal arbitration/registration (either via PCA or bespoke UN process) finds in our favour for Mars land title award. In this case (albeit unlikely), the details in our formal Application (and Declaration of Intent) apply. The Court would place the Mars land in Trust (The Mars Trust) with UN body as trustee and all of us co-claimants as contingent beneficiaries. Such a situation gives the UN a trusteeship role over the celestial land (relevant for land exploitation contracts) but also places pressure on UNCOPUOS to update the OST. The terms of the trust shall be to give a preferential right to UN to acquire the beneficiary status (effectively a share) from all claimants, subject to an update to OST and a nominal fee payment. This nominal fee starts at USD1000 but doubles annually until 2027. There is thus a cost-timeline pressure applied in order to get a good OST update. If by 2027 there is no OST update then the trust is dissolved and land divided by lottery to all contingent beneficiaries (claimants). All our claimants know that their chance of actually getting a plot of land on Mars is very modest but they also know that our main goal is to ensure peace in space for future generations though a good OST update. Hence they also know that should we be successful in gaining title award, they might only get 1000 dollars back from the UN. This is still a good dollar reward for their tiny investment but also a very small price for the UN to pay in order to have complete control over Mars land. Thus, the consequence or our wining title to Mars land would likely be a beneficial OST update and UN trusteeship of celestial land. Whilst there may not be any current UN plans to consider celestial trusteeship, we think it will prove a very beneficial arrangement going forward. The update to OST should incorporate some framework for space commerce (mining etc), stay strong against nuclear weapons (but enhance strength against conventional weapons, dual use equipment and Earth based space weapons) and also tighten up against reckless celestial land claims. With this in place we anticipate the OST becoming relevant and respected again….. And in turn, a much needed upturn in the profile of the UN itself…. An “easy win”. In addition to the updated OST, UN trusteeship ( a space-biz savvy panel rather than a sluggish committee) could sign off on celestial exploitation contracts while still protecting the wider lands for all humanity. We would like to see that model being applied for all celestial bodies in the solar system. So, in summary, the case scenario in which we ‘win’, comes out very favourably for the UN and humanity … with a little reward (financial and emotional) for our co-claimants (who effectively will have funded the legal process). Scenario 2. Our claim goes to formal arbitration. It is shown to penetrate all space law but does not gain us title registration to Mars land…. Why? Because although our claim is well founded in international law (proof requirements for the legal acquisition of new international land on Earth that is distant, difficult or rather barren), a court may consider that the proof requirement for possession of land on Mars should be raised higher than that required for geographically equivalent (but strategically less ‘valuable/important’) land on Earth. It will likely come down to the legal importance of our use of lasers …. They are very strong lasers (class 4, used legally and responsibly within strict SOPs) but impart only a very small (but measurable…. 120 photons per sq meter per sec) physical benefit to Mars land, atmosphere and possibly primitive photosynthetic life. Now scientists agree with our math/assumptions…. But it is for a court to decide if our efforts result in an effect that is small but still relevant or small and legally trivial. Although we will fight this issue, this battleground may be where we lose out. So in this scenario we still get the reward of seeing how our claim was untouched by weak space law. It was only an upward adjustment of international law that stopped us getting land title registration. This public display of a huge OST loophole might just be enough to jolt UNCOPUOS into action on updating the OST. So we might just get what we are really after and be truly content with the positive outcome for UN and humanity. However, there is a potential downside to this scenario… The UN would need to act fast in order to update the OST. If a court found that our laser effects on Mars were too trivial to be considered worthy of the legal requirement for “governance/control” then another supremely wealthy corporation need only shed even more laser light upon Mars (for an appropriate period of time) to gain a stronger title claim. This scenario creates a vulnerable period post judgement until OST or celestial land-law is updated. Scenario 3. We get bogged down in a legal quagmire prior to a formal registry/arbitration process. In this case our claim does not lose validity ( indeed our ongoing exclusive actions continue) and it becomes similar to the unresolved Antarctic land claims in limbo. Our co-claimants can remain hopeful that their descendants might get some sore of benefit from the claim….. But that is the only positive. We don’t get to provide a strong stimulus to the UN to update th OST. Thus the old treaty becomes progressively marginalised and ignored… as does the UN itself. Space faring nations will progressively use their own laws to define their actions in space (and we know from the US space act that these laws are likely to infringe upon or break the OST). The worry here is that the only law preventing nuclear armament in space is being gradually ignored. A space faring nation could then place nuclear weaponry components into orbit with the excuse that it was not the First Nation to openly break the OST rules. The consequences could be dire. With a weakened OST, large commercial ventures may result in celestial land claims with less beneficial intent than our current claim. A celestial land rush under the looming spectre of nuclear proliferation would be disastrous. We think that scenario 1 gives UN and humanity the best chance. With mounting international media attention (every week we get new media focus Worldwide, latest being Australia), I would be most happy to deliver a ten minute presentation to FCO or COPUOS in order to inform further.